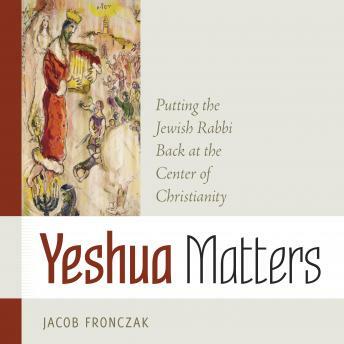 Yeshua Matters is the story of a pastor who discovers that Jesus Christ was not just a Jewish person, but a practicing Jew, a teacher of Judaism"a rabbi, known during his earthly ministry as Rabbi Yeshua of Nazareth. Yet despite this emerging scholarly consensus, Jesus has lost his Jewishness in the collective heart and mind of the church. We simply dont imagine, interpret, or follow him as a part of the broader tapestry of Jewish life and history. If the author is correct, then the root of modern Christianity's maladies is not disconnection between generations, conflict over worship styles, doctrinal differences, or a failure to keep up with cultural trends, but is instead a failure to apprehend and embrace the historical figure of Jesus. What would change if the church were to rediscover that at the very center of its faith stands a practitioner of Judaism? What would change if the Christian world were to rally around a risen Rabbi? What would change if we all realized that Jesus Jewishness changes everything"that Yeshua matters?